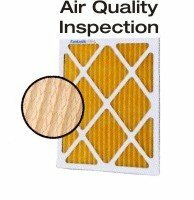 Our Eastchester duct cleaning company provides expert services to help you keep your indoor air healthy. In addition to duct cleaning, we install air cleaners and whole house humidifiers for local homeowners. People who suffer from allergies may find that their symptoms become worse as time goes on if their home's ductwork isn't regularly cleaned. This is because common allergens like dust mites and pollen gather in the congested ducts and are trapped there -- and then they are spread throughout the home via the air conditioning and/or the heat. Certain types of bacteria can thrive in ductwork as well, causing people to have issues with respiratory problems. It is very worthwhile to look into our duct cleaning company services in Eastchester, so take a look at what we can do for you and give us a call for more information. With all of these potential difficulties, the importance of regular air duct cleaning in Eastchester should be quite evident. Regular air duct cleaning service from NuAir Solutions will help your home to stay healthy to live in. Additionally, you can look into our air cleaners and humidifiers for even more improvement. Our OxyQuantum UV Air Purifiers and other air cleaners are installed into your HVAC system so they treat the air throughout your house all at once. They are very easy to use and maintain, working automatically. We install energy-efficient air cleaners so you won't have to worry about your electric bill. Bacteria and microorganisms like the flu virus or mold thrive in an environment with high humidity. Just remember how short of a time it takes to grow mold in the bathroom of your home. Unfortunately, a dry climate may be great for reducing these problems, but it's bad for us. Humans need to keep their mucous membranes moist. Our whole house humidifiers are the solution to keeping the humidity level inside your Eastchester home balanced. If you are looking for a duct cleaning company in Eastchester then please call 914-381-5764 or complete our online request form.